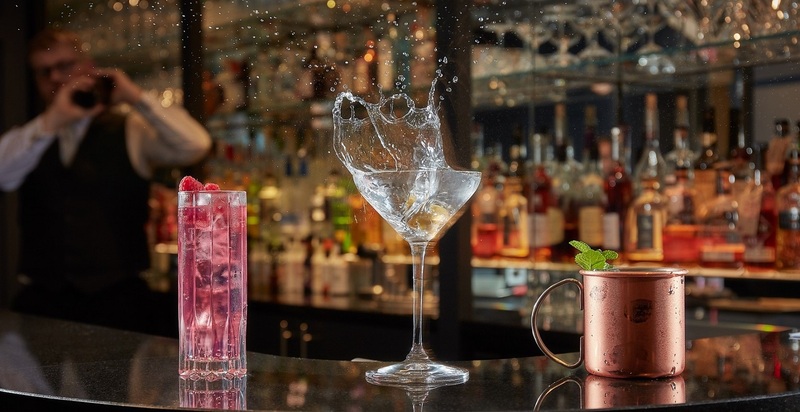 Our thoughtfully stocked hotel bar is a moody blue retreat – named after a poem by Wordsworth fondly remembering a day’s romantic dalliance with a young lady in the Samling grounds. Carefully edited by Sam Alldrick, Liquid Chef, The Reverie offers lively alternatives to our Wine List for connoisseurs of cocktails. A fully qualified chef he brings his creative skills to his liquid kitchen – sourcing the best ingredients and devising deliciously lush combinations. The edit places quality over quantity, his carefully curated collection contains a list of international bests, identifying the most favoured national spirits and liquors then sourcing the most discerning makers before we even begin the process of buying and importing to the UK. We’re tracking down the rarest and most elusive editions of the best spirits in the world – the newest additions are a 20 year old Pappy Van Winkle Bourbon, and Decanter no:0319 of the Hennessey Paradis Imperial blended Cognac. Sometimes pure and simple is the best way to enjoy the great names and brands, but the choice is yours. …a heady mix of Christian Faure Grand Armagnac 1935, Chateau d’Yquem 2004, The Samling’s own wildflower honey, Darjeeling and Chamomile, and Sir Winston Churchill Pol Roger Champagne. Garnished with 22.5 carat gold flakes and served in a Cumbria Crystal Champagne Flute, (yours to keep). The Reverie Bar is enhanced by the hotel’s terrace – perched above Windermere with long lake views both south and west over the lake to the Coniston mountain ranges. The view includes swathes of Temperate Rainforest, some of the rarest habitats in the world. You may be in northern England but forget your preconceptions and enjoy that world class Unesco World Heritage view as well as your drink. We’re proud to announce Sam’s collaboration with local makers Bedrock – he’s put his spin on classic cocktails using their Standing Stone Vodka available in The Reverie of course so you don’t have to lift a finger. He’s the man in charge of the mini-bar selections in your rooms too.